One of the things I adore about autumn is making homemade soup. A bowl of soup is nutritious, filling and packed with flavour, and it really is easier and quicker to make than many people think. Some of my families favourite ingredients for soup are tomato, beetroot, sweet potato, lentils, spinach and good old leek and potato. In fact, that soup is always our starter on Christmas Day! 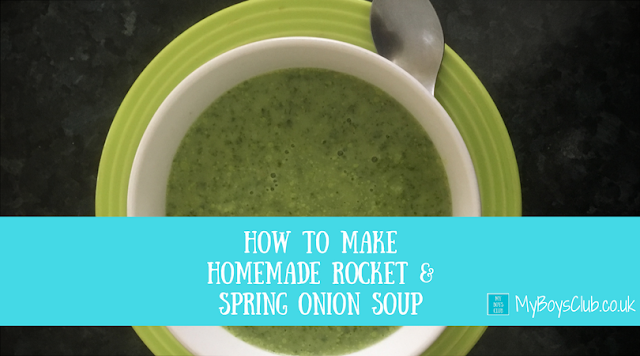 So here is my recipe for Rocket Soup - which I created after buying the wrong ingredient. As the night's draw in, sometimes there is nothing more comforting than a steaming hot bowl of soup on a cold winter's night. And as I work from home soup is also a perfect lunch too. Homemade soup is a fantastic recipe to have for your family and it makes a great starter or a tasty snack. Homemade soup is better for you because you know exactly what's in it and these healthy soups taste better than anything you can buy in the shops. Being the season of flu and germs I planned to make watercress soup last week, thinking it would be full of vitamin C as well as a peppery flavour. 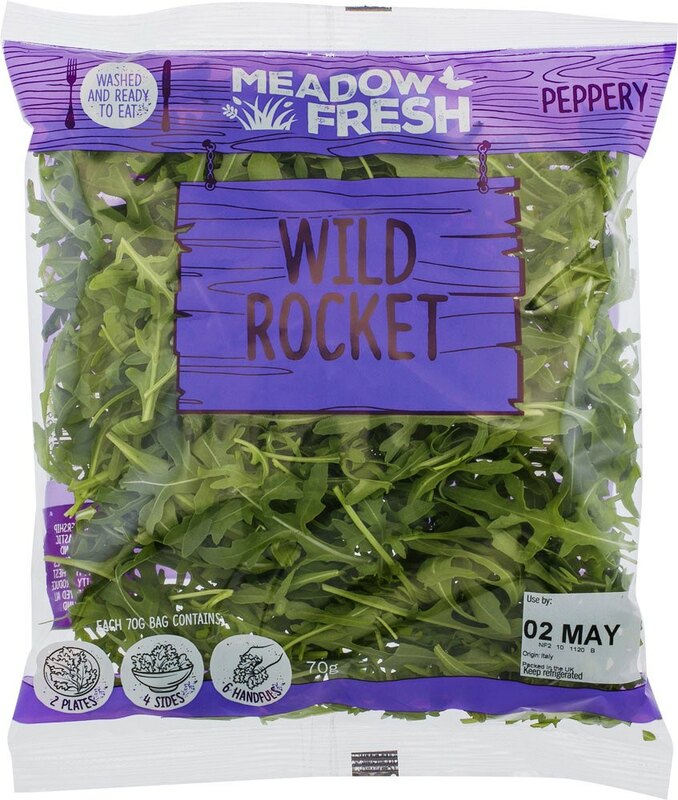 However, I mistakenly bought a packet of rocket instead of watercress from the local supermarket. It was also good value too as it was reduced to 35p from 56p - however, it wasn't the ingredient I was going to put in my soup. But undeterred I just decided to make it with Rocket. So by complete accident, I created a new dish for me. And it was so tasty. So tasty in fact that I've already made it again since. So here is the recipe. It's gluten free, dairy free and full of nutrition and flavour, as well as great value for money. Wash and chop the spring onions. Wash and chop the potato (peel first if you prefer). Add a little oil to a large pan and saute the onion with the garlic. Add the ginger and potato then the water and a stock cube and bring to the boil. Once the potatoes have started to soften add the rocket and simmer for two minutes. Blend then serve. Add salt and pepper to taste. That's it so simple. Sometimes I make soda bread to go with the homemade soup, other times I buy a crusty loaf, or with this soup, I accompanied it with crackers and a homemade 'dairy-free cheesy' dip. 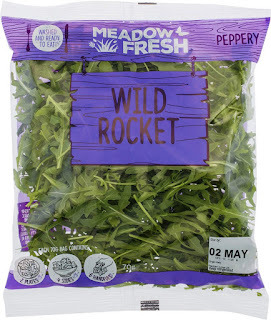 Rocket, also known as arugula, is one of the nutritious green leafy vegetables of Mediterranean origin. It is also a good source of Fibre and Protein, Vitamins A, B, C and K as well as Zinc and Copper, Folate, Calcium, Iron, Magnesium, Phosphorus, Potassium and Manganese. As well as being very low in calories, it has many vital phytochemicals, anti-oxidants, vitamins, and minerals that may immensely benefit health. Spring onions add great nutritive and taste value to a dish. They are an excellent source of vitamin K and vitamin C, and a very good source of vitamin A too. What is your favourite soup? I'm not a huge rocket fan but my partner is. Maybe if I made it into a soup I would like it. It looks yummy, and it's definitely soup season now. This sounds delicious and so good for the immune system too! This looks delicious, definitely one to keep on file for winter! I love soups in winter and I'm saving this recipe.Never thought of using a ginger in this soup but will try it next time! This looks so good and super healthy too! Would never have imagined that combination but I must give it a try to break my usual boring routine of vegetable soup! This looks so simple and delicious! This sounds so good! I love putting potatoes in soups it makes them that bit more filling! Can’t wait to try this recipe!